This year I'm seeing twinkle costumes everywhere! They seem to be the hottest trend right now. They use fiber optic or LED lights, and require small button cell batteries. 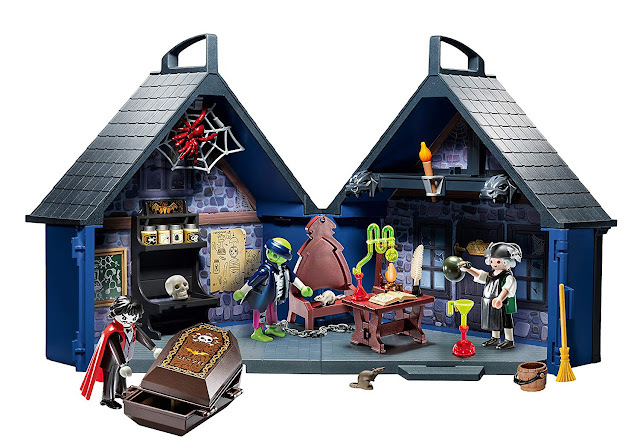 Those batteries are lightweight and easily fit inside a child's costume so you don't have to worry about them weighing your kid down, or getting lost. Check out some of my favorite Twinkle light up costumes! 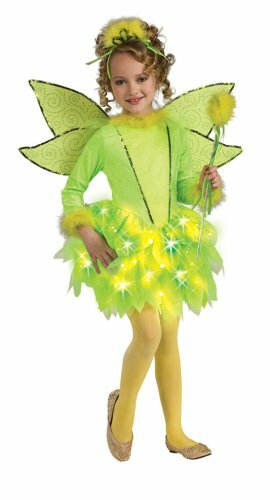 The Twinkle Witch costume includes the fiber optic dress and the hat, but you'll have to supply your own witchy boots and broom prop. It comes in toddler and child sizes. 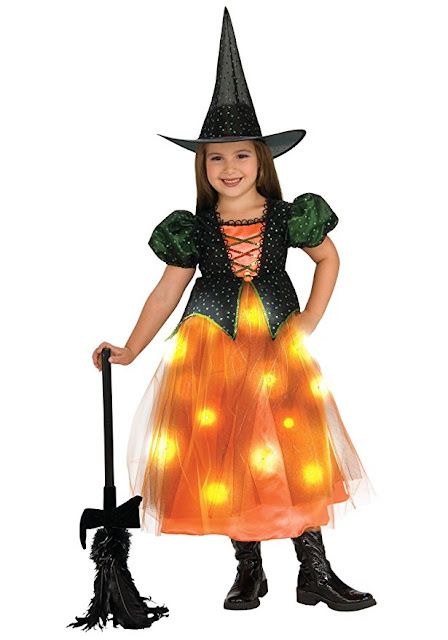 The Sweetheart Witch light-up costume comes with the matching hat. Perhaps your child would prefer a purple twinkle skirt to an orange one. 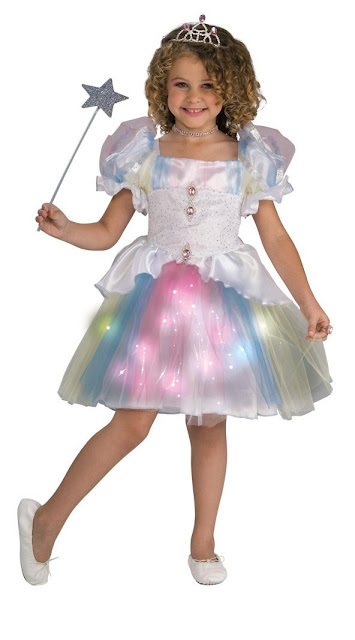 Here's the Moonlight Magic Twinkle costume, which does not include the witch hat. 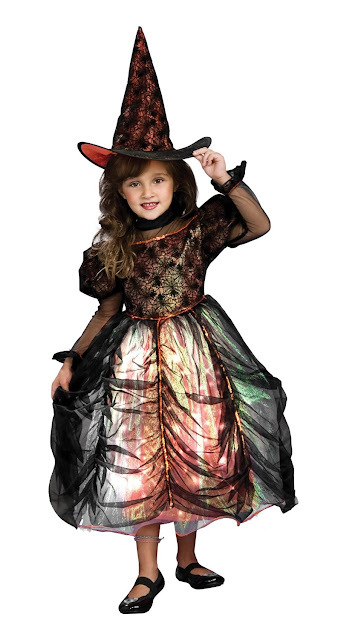 Here's a darker Twinkle Witch costume. I love the spiderweb bodice! This is called Twinkle Gothic Princess. This costume comes with the sparkly tiara. 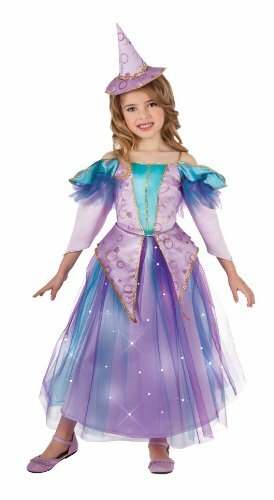 This Lavender Witch twinkle costume is great for girls who want to look witchy but not scary. 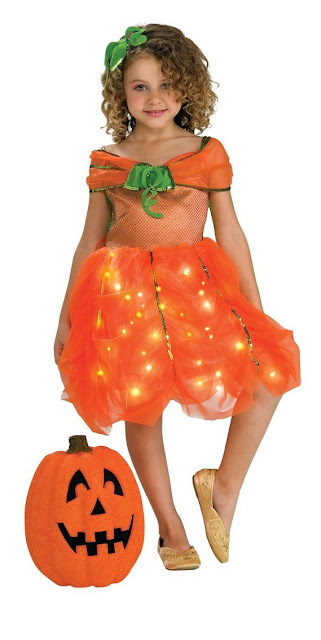 For girls who want a less spooky, more charming look, here's the Twinkle Pumpkin Princess costume. For little girls who like to play at being fairies, here's a cute and simple Sparkle Sprite costume. 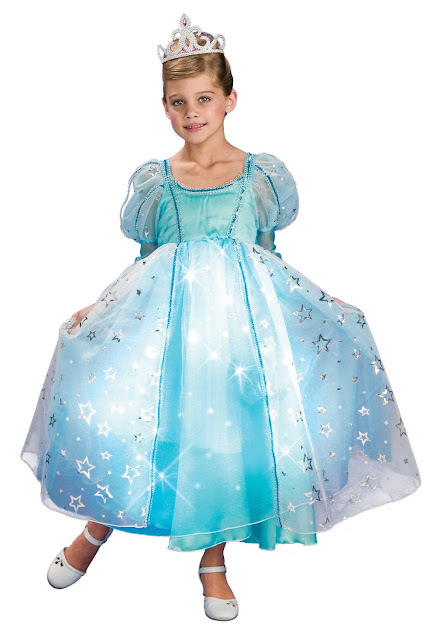 This pretty blue Twinkle Princess costume could double as a Cinderella ballgown, too. 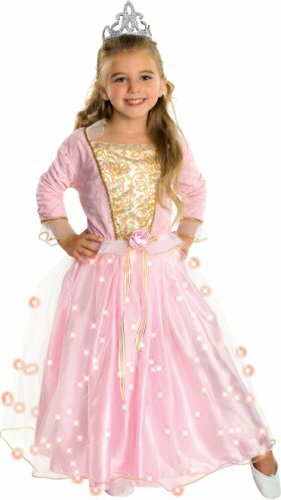 Here's a pink Rose Princess twinkle costume dress, too. 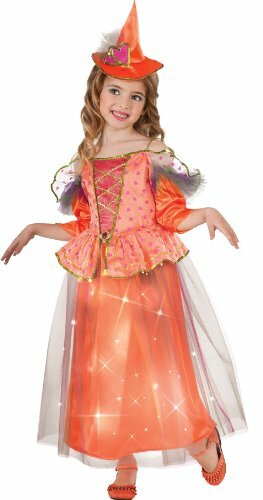 The Twinklers Rainbow costume could work as a ballerina costume or a fairy costume as well. There aren't quite as many light up costume options for boys - mostly just a handful of superhero costumes with a light or two on them. 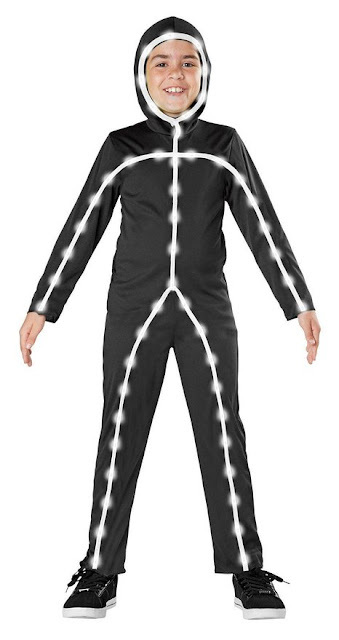 This Light Up Stick Man costume is pretty cool though! 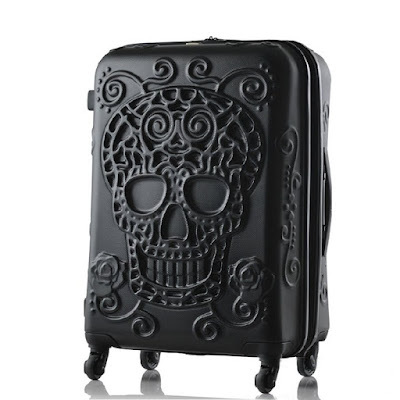 No reason a girl couldn't wear this, either. 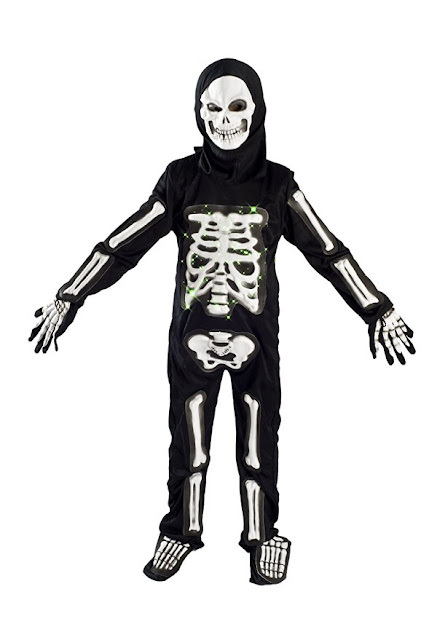 Here's quite a creepy option: a Light Up Skeleton costume! There are a whole bunch of twinkle costumes available on eBay as well. Happy shopping!